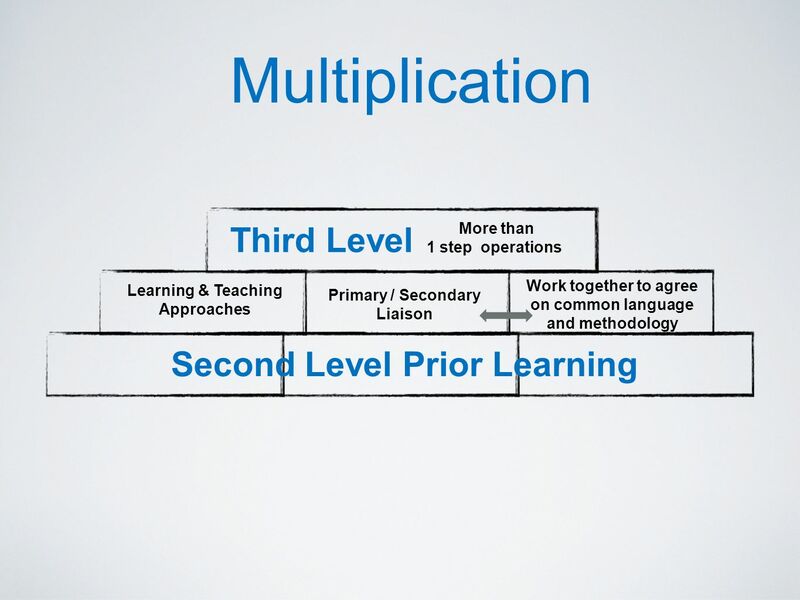 Transforming lives through learning Scottish Survey of Literacy & Numeracy Support Material Third Level - Multiplication Produced by Education Scotland. 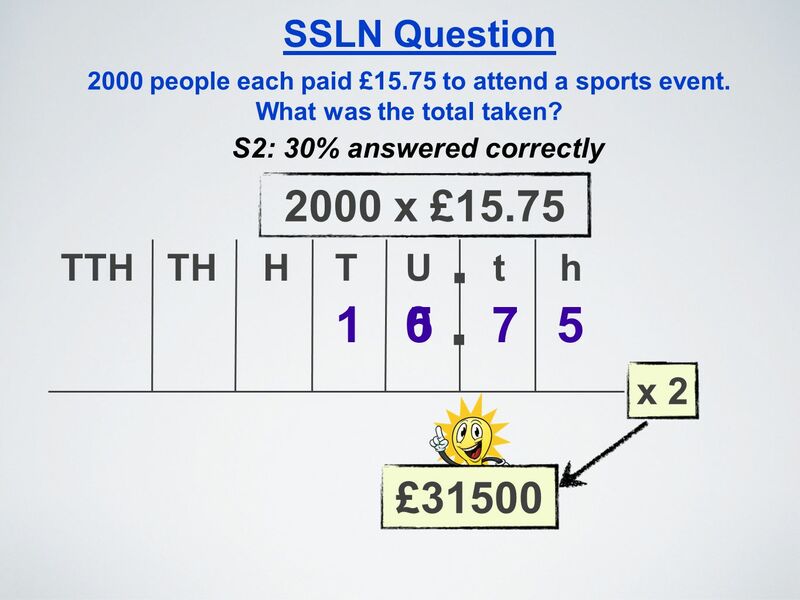 3 2000 x £15.75 This type of question caused problems for approximately 65% of S2 pupils This is the picture nationally. Does this reflect what is happening in your own classroom? Questions to consider when reflecting on your own practice: Is this performance in line with your expectations? 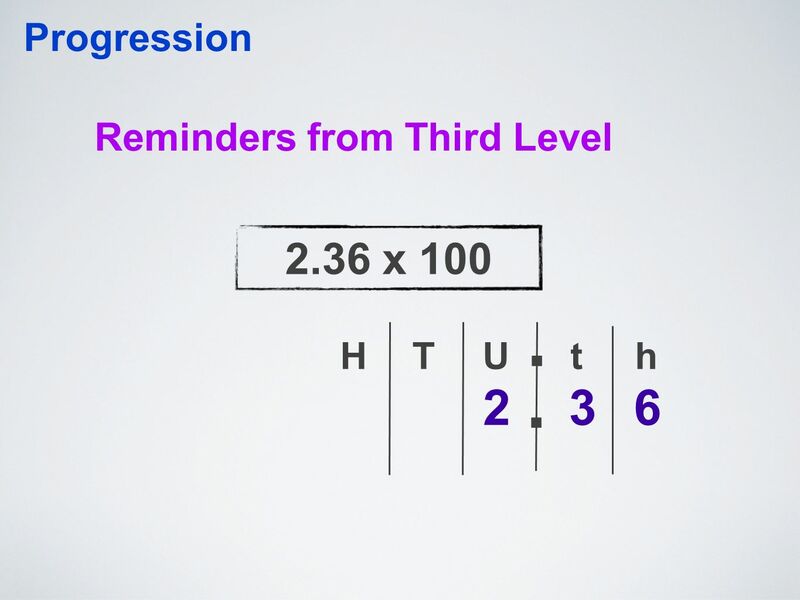 What are the most common errors and what do these tell you about learners? 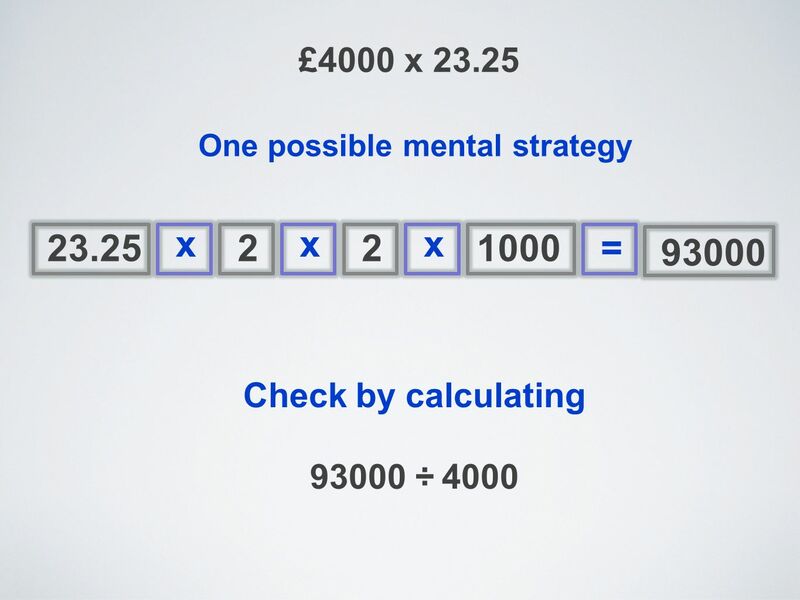 What concept do learners find difficult? 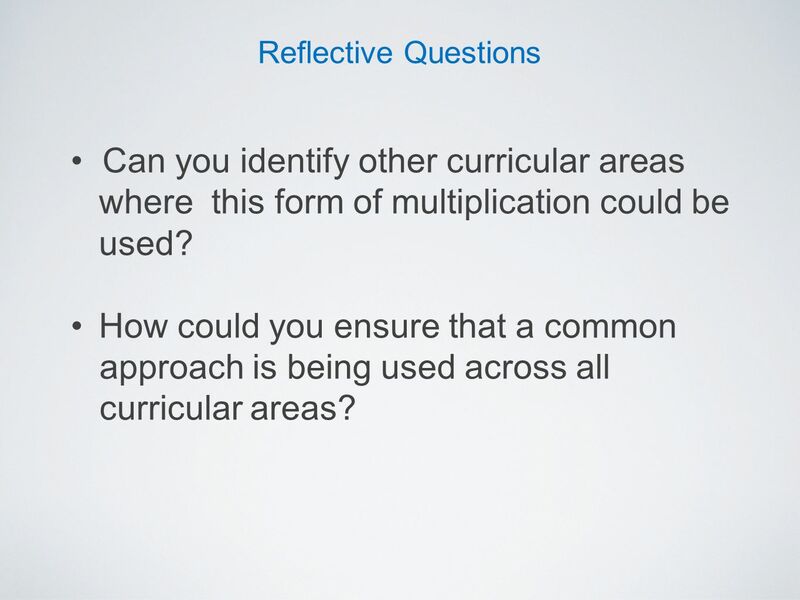 5 Reflective Questions Can you identify other curricular areas where this form of multiplication could be used? How could you ensure that a common approach is being used across all curricular areas? 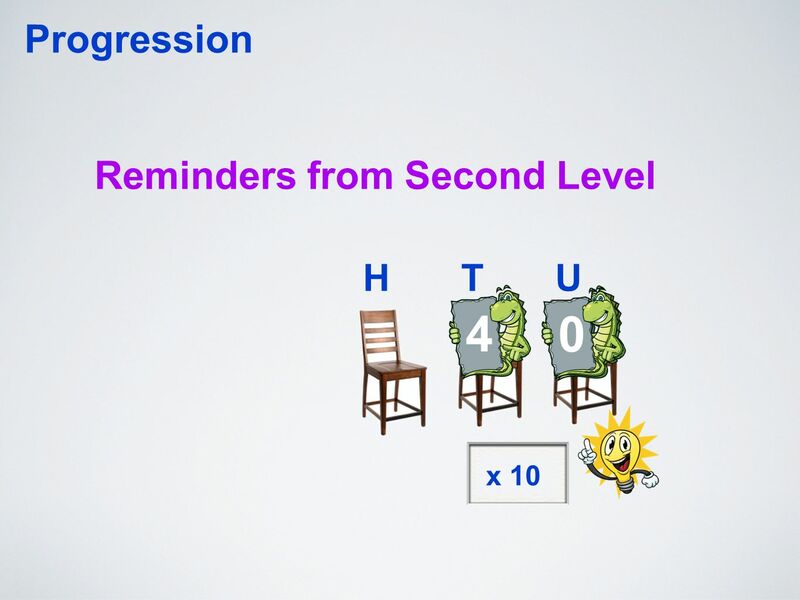 9 Progression TU 263 th.. H 2.36 x 1000 TH 0 We need this zero as a place holder because without it you would get the wrong answer of 236. 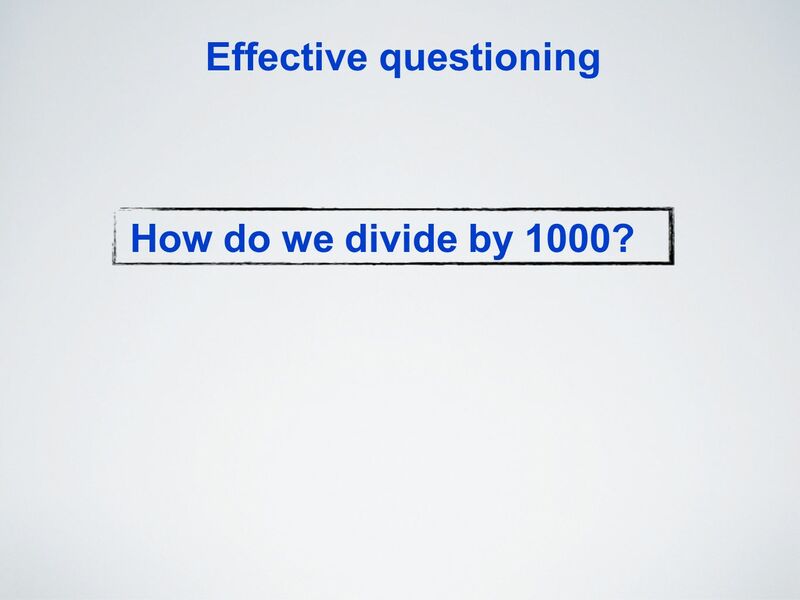 11 Effective questioning How do we divide by 1000? 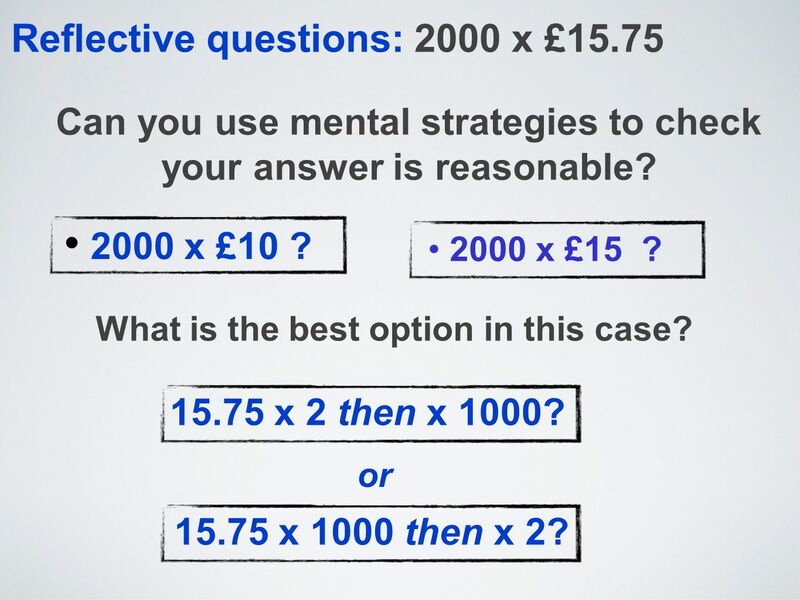 14 Can you use mental strategies to check your answer is reasonable? 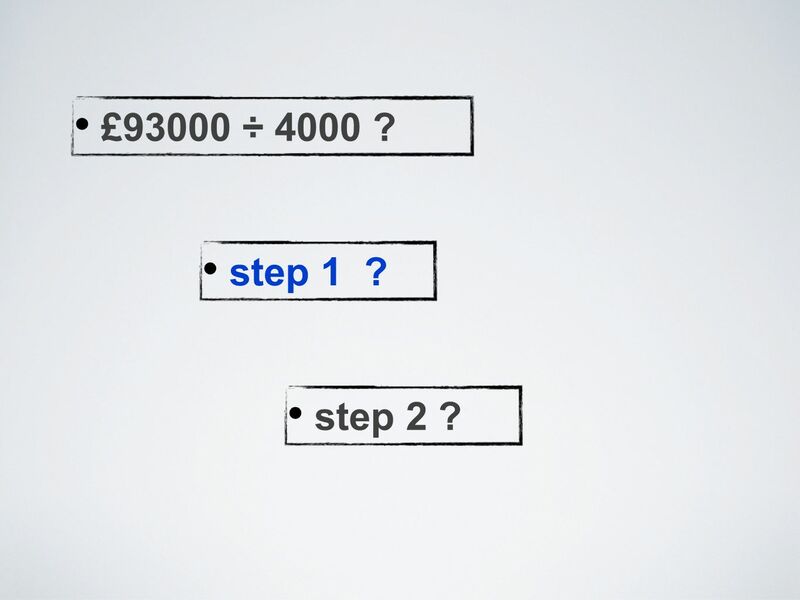 2000 x £10 ? 15.75 x 2 then x 1000? 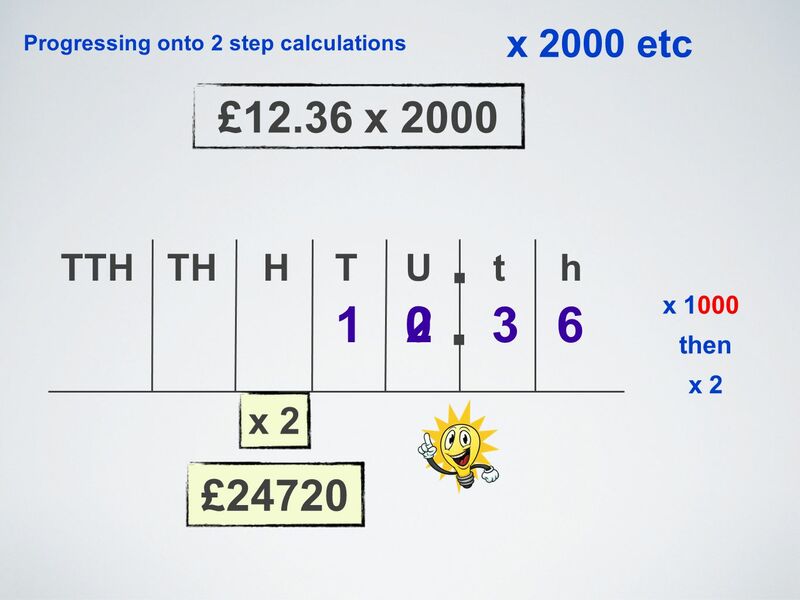 Reflective questions: 2000 x £15.75 15.75 x 1000 then x 2? 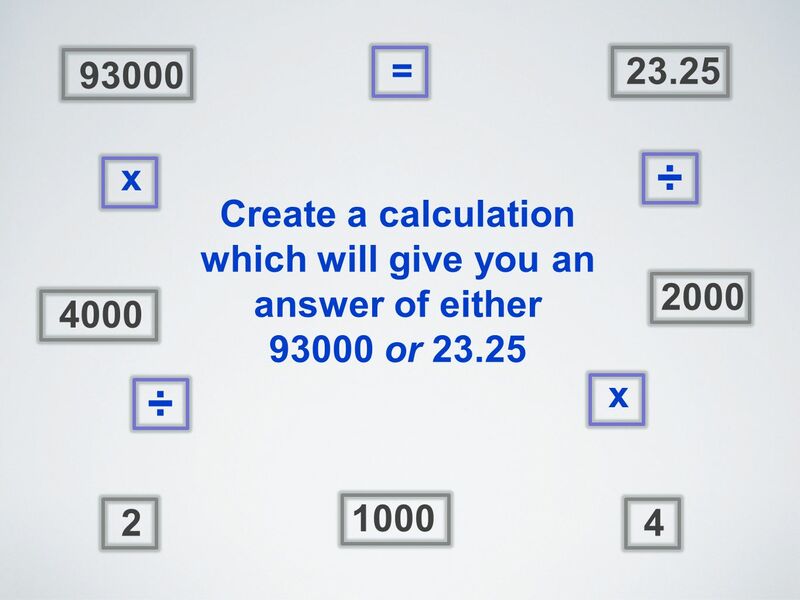 or What is the best option in this case? 2000 x £15 ? 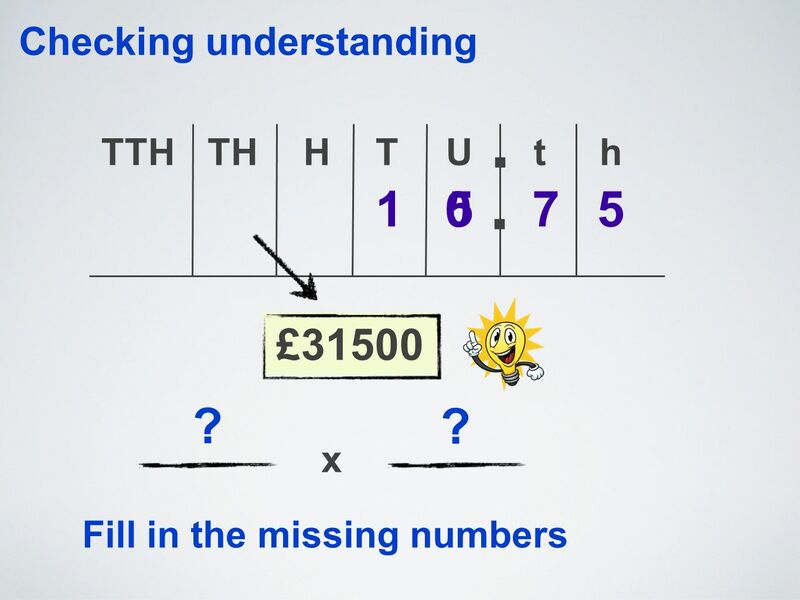 15 Checking understanding TU 5 57 th.. H TH 0 TTH 1 £31500 Fill in the missing numbers x ? ? 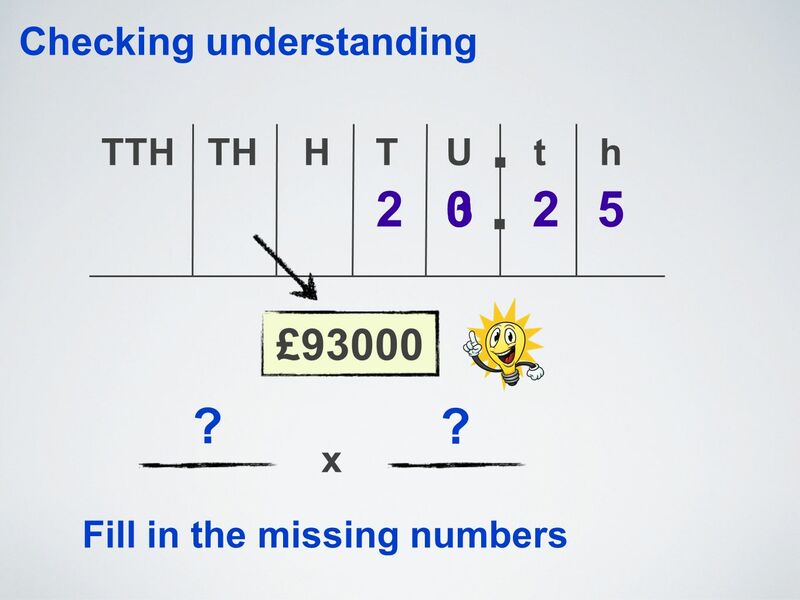 16 Checking understanding TU 352 th.. H TH 0 TTH 2 £93000 Fill in the missing numbers x ? ? 19 £93000 ÷ 4000 ? step 1 ? step 2 ? 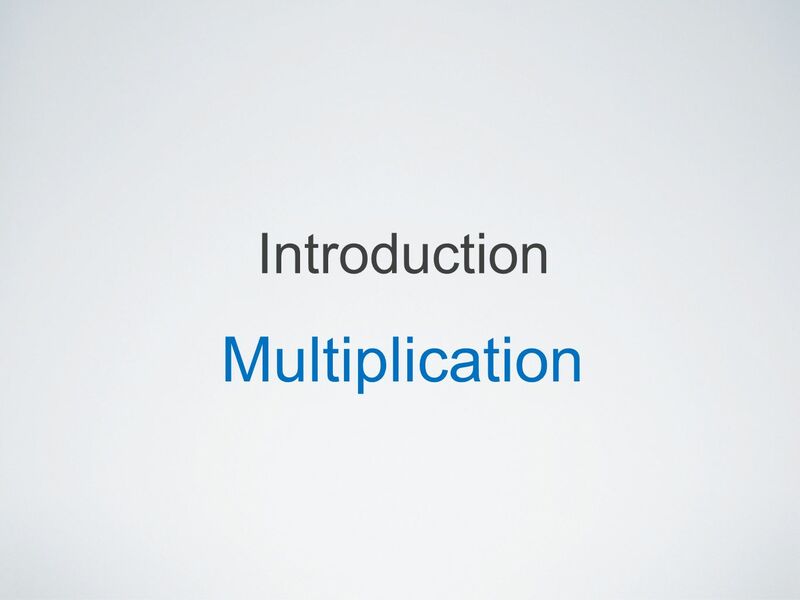 Download ppt "Transforming lives through learning Scottish Survey of Literacy & Numeracy Support Material Third Level - Multiplication Produced by Education Scotland." 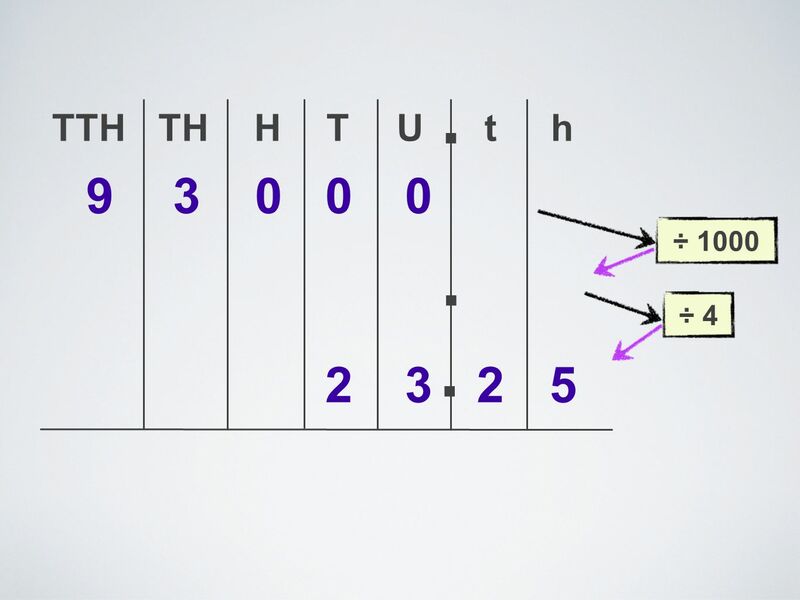 Transforming lives through learning Scottish Survey of Literacy & Numeracy Support Material First Level – Fractions Produced by Education Scotland Transforming. Transforming lives through learning Scottish Survey of Literacy & Numeracy Transforming lives through learning Support material for Measurement Third Level. Transforming lives through learning Scottish Survey of Literacy & Numeracy Transforming lives through learning Support material for Measurement Second. 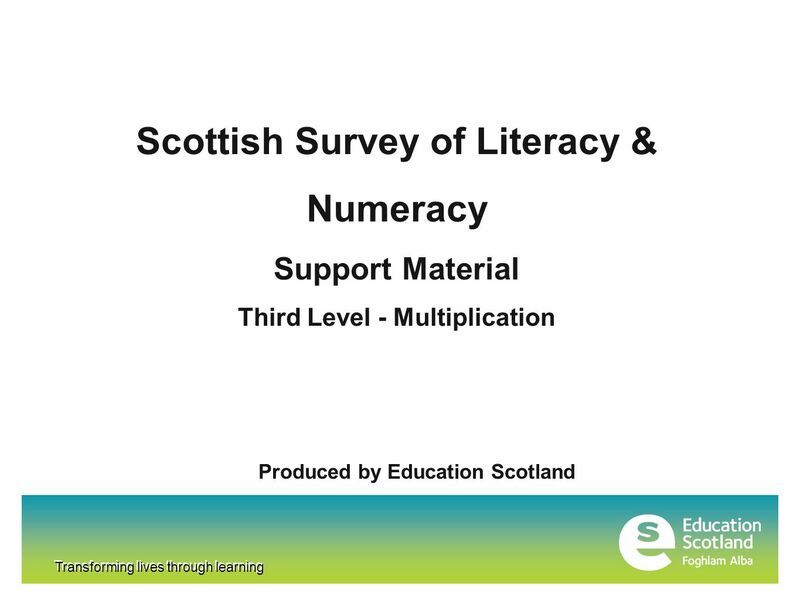 Transforming lives through learning Scottish Survey of Literacy & Numeracy Support Material Third Level - Fractions Produced by Education Scotland Transforming. Transforming lives through learning Scottish Survey of Literacy & Numeracy Support Material Produced by Education Scotland Transforming lives through learning. Transforming lives through learning Scottish Survey of Literacy & Numeracy Support Material Second Level - Fractions Classroom version Produced by Education. 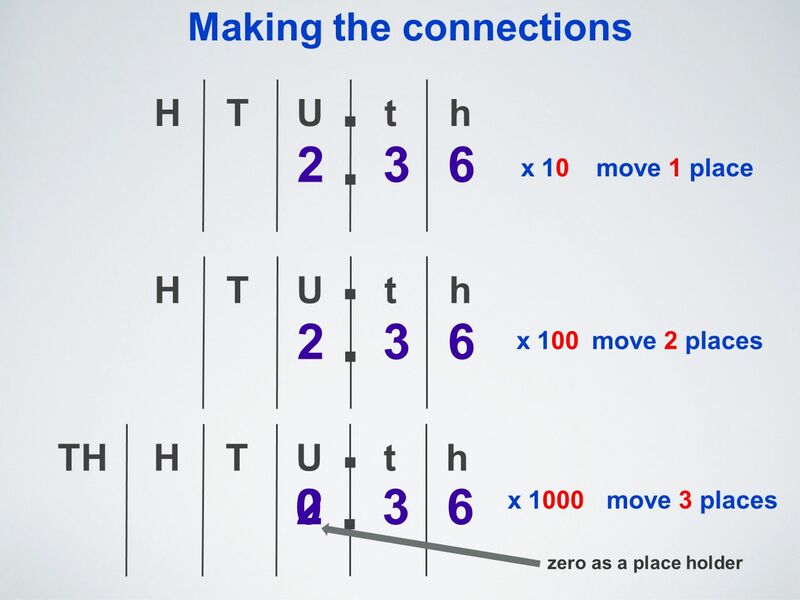 Transforming lives through learning Scottish Survey of Literacy & Numeracy Support Material Second Level – Multiply / Divide 4 and 8 Decimals Classroom. Scottish Survey of Literacy and Numeracy Improving Numeracy. 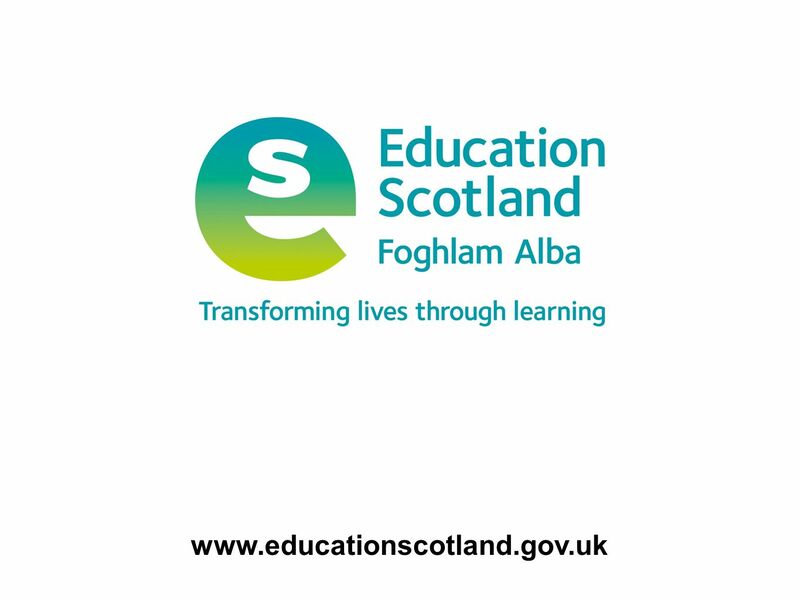 Transforming lives through learning Scottish Survey of Literacy & Numeracy Support Material Second Level – Fractions Produced by Education Scotland Transforming. All Children and young people have an entitlement to a curriculum which they experience as a coherent whole, with smooth and well-paced progression through. English as an Additional Language EAL Profiles of Competence Luan Porter (HT, CEC EAL Service) SATEAL 20/3/10. Moderation as part of learning, teaching and assessment Transforming lives through learning George M Sinclair. Curriculum for Excellence Mearns Academy Curriculum for Excellence – Consultation with Parents Dec 2012. Transforming lives through learning Numeracy and Mathematics Seminar Primary School Leadership Conference.